When I’m stuck in bed, books provide me with an escape. I’ve recently tried to reframe ‘immobile time’ as ‘reading time’ and, while brain fog can make reading a challenge and holding a book can sometimes be tricky, having a pile of books at the side of the bed makes me dread being bed-bound less. These are the books that are currently keeping me entertained, that I find a positive influence on my mood. This book is a call to arms for artists. However, it won’t cause brain ache as it’s wonderfully illustrated with only a few words per page. It’s a case of quality over quantity, and I find the words uplifting, inspirational and great for helping me stay motivated despite pain, even though that’s not what they were actively designed for. The basic message is simple. Art matters. If you’re angry, make art. If you’re sad, make art. If you’re happy, make art. 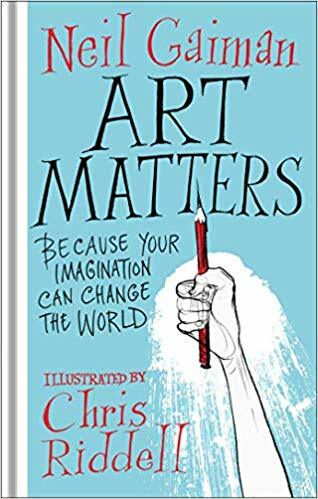 This basic message is communicated with passion, warmth and creativity – and the illustrations have inspired me to buy Chris Riddell’s Doodle-a-Day in an effort to enhance my own drawing ability. I’d say this book is a must for any writers, artists or creatives in general. If you can’t afford to buy it, order it from your library: it’s short enough to read with brain fog but smart enough to capture the imagination and engage the brain. It made me cry because I felt as if what I do matters – and I’ve been more productive since I’ve read it too. One to read and re-read. 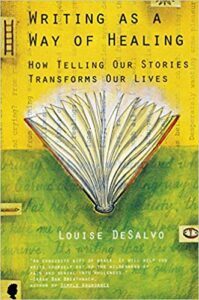 My most recommended non-fiction book, Writing as a Way of Healing does require effort to read compared to Art Matters, but is a valuable guide to journaling in what I find to be the most effective way. Based on solid evidence, with a clear and engaging tone, it’s useful for anyone who wants to try journaling as a coping mechanism. Rather than encouraging you to get emotionally stuck in writing about difficult events, it helps you process trauma as you write using CBT-style techniques. It’s well structured, clear and a lot less woo-tastic than it sounds. I’ve found this book essential as therapy – and a good way to learn these skills without any waiting list. I’m a huge fan of the Pre-Raphaelites and this book focuses on the oft-neglected women of the movement, including a diverse range of people including several with disabilities. I’m currently writing a book about May Morris and the section on her filled many blanks for me, and gave me a real idea of her character. The tale of ‘muse made good’ (and ‘cad made bad’) is often repeated, but so are themes of maternity, artistic ambition and, generally, pioneering women who changed the world around them. It’s funny, well illustrated and each chapter is short enough to read without feeling overwhelmed. 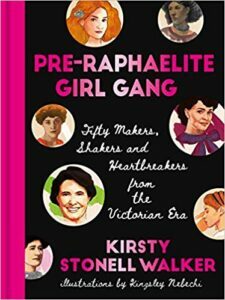 While Art Matters is better for ‘my brain fell out of my ear like soup’ days, Pre-Raphaelite Girl Gang is great for days when lifting a heavy tome is possible but you want to read something that’s a light and enjoyable read. It’s also fact-packed and intellectually stimulating. Kirsty Stonell Walker has a great blog if you want to get an idea of her style. It made me want to join the Pre-Raphaelite Girl Gang myself and change the world through art and activism. This article contains affiliate links. When you click on and buy from these links you help keep Spooniehacker going, but you can also purchase these books at other outlets if you’re not a fan of Amazon! Read all our book reviews here.